Read more about our brands and product range of air conditioners we provide. Wattle Grove Air have been helping Sydney households and businesses stay cool and comfortable since 2009 with professional air conditioning installations. A family owned company, Wattle Grove’s handpicked staff provide a ‘no bull’ service, supplying quality units and friendly advice to help you choose the right residential or commercial air conditioning system. Owner Dean and his staff have years of experience in the industry, and are experts at their job, giving you a quality job first time. 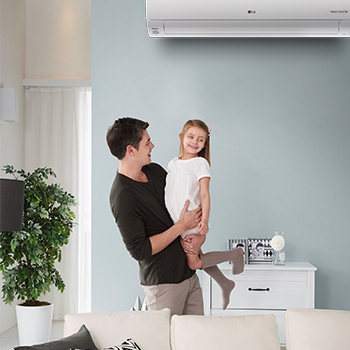 Wattle Grove Air supply and install all major brands such as ActronAir, Fujitsu, Daikin and Carrier at affordable prices to meet your budget. We offer affordable prices to meet your budget and air conditioning needs. WHAT SETS OUR COMPANY APART FROM OTHER PROVIDERS? We’ll always offer you free, unbiased advice, making sure that the unit you chose is the perfect fit for you. Wattle Grove Air understand the needs of different localities, including the air conditioning peculiarities of areas such as Parramatta and Penrith, and also newer suburbs in Sydney’s west. Servicing suburbs across Sydney, our local experience makes us one of Sydney’s top air conditioning companies. Our staff are experienced professionals with high integrity. We keep our promises and are always available should you need a hand or maintenance with your unit after installation. Wattle Grove Air offer both split system and ducted air conditioning units. We are a fully licensed air conditioner contractor company with the NSW government. 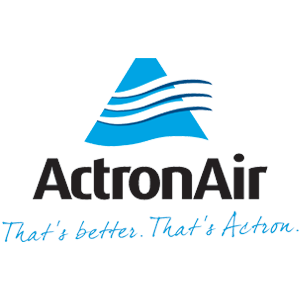 We recommend ActronAir and Fujitsu systems, as we are specialist dealers and preferred suppliers. Different conditions, homes and locations need different types and ranges of systems. Both ActronAir and Fujitsu offer a wide range of units to suit all preferences, lifestyles and climates. We strive to incorporate the latest work practices and standards at all times, and provide a quality service you can rely on. Without expert advice and quality installation, you could end up with an air conditioner that fails to deliver the best comfort and efficiency for your needs. By packaging both the supply and installation of your air conditioning unit, we can offer you incredible value and great deals. We endeavour to provide our customers with continuous cost saving and bonus offer promotions for both brands of systems. For our current promotion, see the promotions page. Australia’s climate is one of the harshest in the world, and you need a local air conditioner supplier that understands the local climate. Wattle Grove Air are experienced in recommending and installing residential air conditioning units in all areas in and out of the local Sydney area, including newer south western suburbs. Being comfortable in your home means more than just being able to control the temperature. ActronAir and Fujitsu units are designed for flexibility, and offer a low operating sound level along with year-round comfort with precise temperature control. Whether you’re after a unit for a single room or an air conditioning system to cool or heat your entire home, Wattle Grove Air have the right solution for you, your family, and your home. Get in touch now for the best home air conditioning Sydney has to offer.